Margaret Peterson Haddixis the author of many critically and popularly acclaimed teen and middle-grade novels, all published by S&S. She lives in Powell, Ohio, with her husband and two children. A graduate of Miami University (of Ohio), she worked for several years as a reporter forThe Indianapolis News. She also taught at the Danville (Illinois) Area Community College. 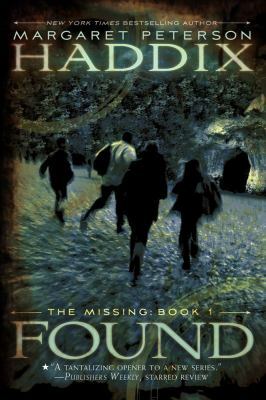 She lives with her family in Columbus, Ohio.Haddix, Margaret Peterson is the author of 'Found (Missing Series #1)', published 2008 under ISBN 9781416954170 and ISBN 1416954171.